For more than 25 years, TeleTracking has been committed to making caregivers' lives better, so they can deliver high quality, compassionate care to patients. We also play a vital humanitarian role in the communities we serve and that’s why for the second consecutive year, we’re pleased to be a major sponsor of the Mission of Mercy Pittsburgh dental clinic, which provides dental services to underserved populations—from the homeless to people who simply don’t have the resources to pay for care. We’ve all walked by someone on the street, and can clearly see that life has dealt them a poor hand. Our heart aches for them —we want to do something for them, be the one that gives them a break, be the one that brings some light to their lives. But usually we’re not sure what to do, so we walk by, maybe give them some money and go back to our own lives. With the Mission of Mercy Pittsburgh dental clinic, it’s possible to take action we all want to do. You can contribute money, you can contribute time—however the most important thing is that you are helping some of the most vulnerable people who can’t help themselves. Having access to dental care is an essential part of healthcare. For many of us, if we have a tooth bothering us, we go to our dentist and get a filing. Thirty minutes later we’re fine and back to going about our daily activities. Also, think how you’d feel about yourself if you had serious dental issues. You’d be afraid to talk. You’d be afraid to smile. And if you’re afraid to talk and smile, you’re very quickly going to find yourself socially—and possibly economically—isolated. That’s why getting proper dental care can be life changing—physically and mentally. It can completely change someone’s outlook about themselves —and their outlook on life in general—for the positive. Last summer was the first time this event was held in Pittsburgh and it was heartwarming to see thousands of members of our community come together for a common cause and provide care to the voiceless. I encourage you to be grateful for what you have and be gracious with your time to help those who aren’t as fortunate. Always remember—you feel good when you give! As both an oral & maxillofacial surgeon and a dentist I see the physical, mental and emotional impact that significant dental problems have on patients’ lives. That led me to become a co-founder of an organization called Face-to-Face Healing that gives people with disfigurement a support network, while empowering them to see their inner beauty and give them back their voice. My work with Face-to-Face Healing led me to my involvement with Mission of Mercy and why I am truly honored to be the co-chair of this year’s Mission of Mercy event in Pittsburgh. The need for proper dental care goes beyond general health. There are thousands of people in our community who are impacted by lack of access to a dentist. Some are homeless and living in shelters. Some are women trying to escape abusive situations and rebuild their lives—they don’t have the time or means to see a dentist. Some are working two jobs and raising a family—but they don’t have dental insurance and Medicaid doesn’t provide dental coverage for adults. For these people a dental crisis can quickly spiral into much more—if they need to miss work they could jeopardize their employment; if they become unemployed then they’re facing additional financial pressures and sliding into further physical and economic decline. But if we give these people the help they need, they can move on to a better chapter in their lives. This impact to overall public health and welfare is why the Western Pennsylvania Dental Society is one of our key partners, as well as the University of Pittsburgh School of Dental Medicine. The Dean of the school, Thomas W. Braun, DMD, PhD believes so strongly in this work that last year he actually closed the dental school so professors and students could volunteer in a wide range of capacities—the support to do something to serve these people was overwhelming. Richard M. Celko DMD, MBA is a graduate of the University of Pittsburgh, School of Dental Medicine. He completed his General Practice Dental Residency at Montefiore Hospital in Pittsburgh, PA. He received his Master in Business Administration from Indiana University of Pennsylvania. In addition to his years of private practice, he was a part time Clinical Instructor at the University of Pittsburgh, School of Dental Medicine in the Departments of Restorative Dentistry and Oral Diagnosis. Dr. Celko worked for Aetna for 11 years and was their National Dental Director of Utilization Management. 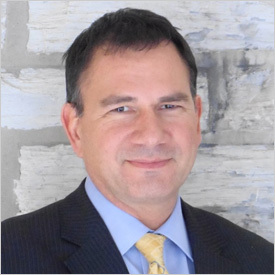 Dr. Celko is a former president of the American Association of Dental Consultants and former corporate representative to numerous committees and organizations. He is a fellow in the American College of Dentists. Dr. Celko lectures nationally on Dental Fraud and Coding and is a frequent lecturer for the National Health Care Anti Fraud Association (NHCAA). He is a Certified Dental Consultant and holds the AHFI (Accredited Health Care Fraud Investigator) designation from the NHCAA. 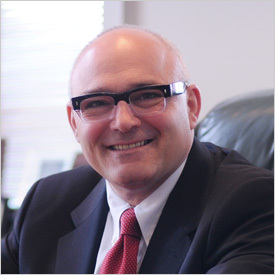 Dr. Celko is a former Chief Dental Officer of New York based P & R Dental Strategies, Inc. and a former National Dental Director of Utilization Management and Clinical Integrity for Avesis. 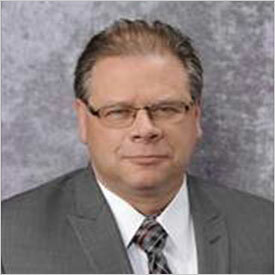 He currently serves as the Dental Director for the University of Pittsburgh Medical Center (UPMC) Health Plan.